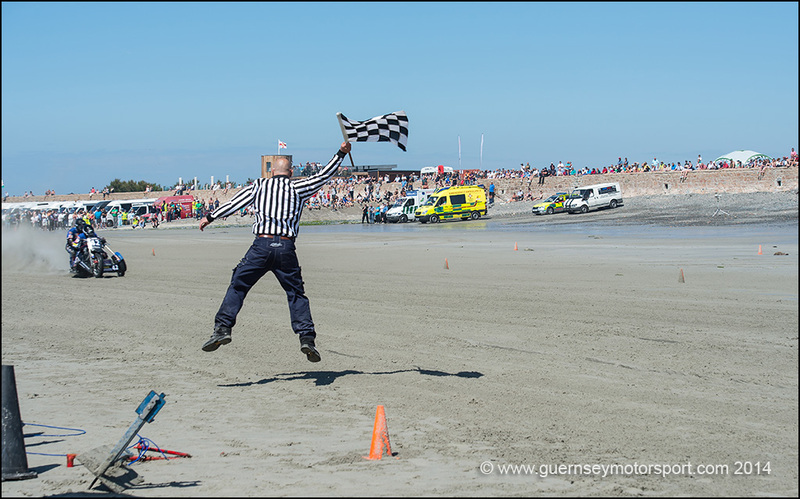 St John recently provided medical cover for the Condor Ferries SandAce Championship, which took place at Vazon Bay on the west coast of Guernsey, on Saturday 14th June 2014. The national event was attended by both UK and local competitors, including UK rider Danny Warwick, it showcased some of the top 500cc motorcycle solos and 1000cc sidecars. Two St John Paramedics and an Emergency Medical Technician attended the event and worked alongside the Guernsey Motorsport Rescue Unit “Sarnia Rescue”, a group of specially trained volunteers who provide a first response to all racing incidents. Despite some fast and furious racing at what was described as “a perfect track”, St John were not required to treat any of the competitors.